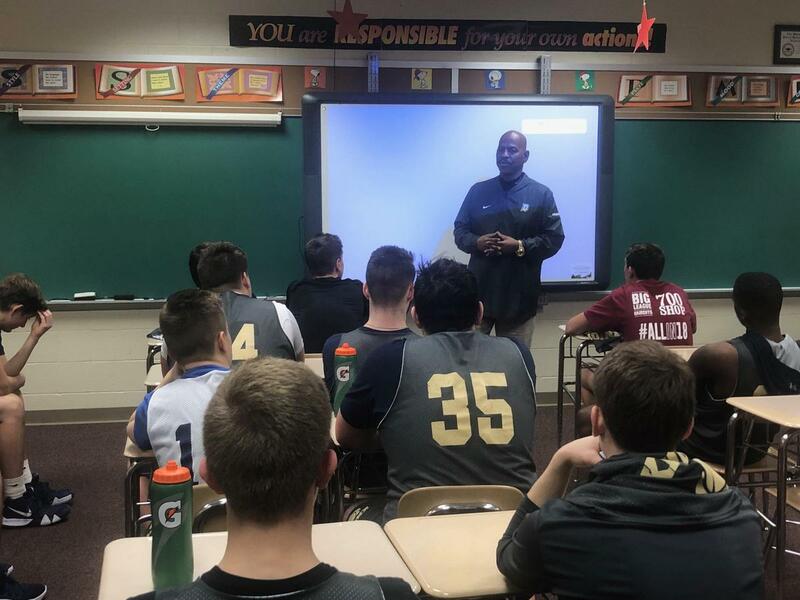 One of the all-time greatest basketball players in Pennsylvania history, BB Flenory of Valley High School and Duquesne University visited Coach McNabb and his players after practice recently. Mr. Flenory talked about the importance of academics and respect. On the athletic side he talked about staying focused and getting the most out of your abilities and talents. His message was very well received by the team. Thank you, Mr. Flenory, for sharing your time, talent, and experience!